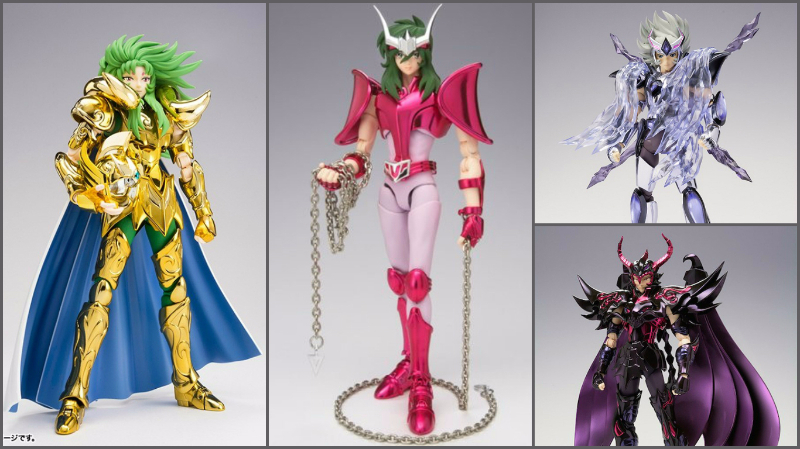 We are offering a Special Sale with 50% off discount on Saint Cloth Myth EX series this week! The Sale lasts for a week until 10 June (GMT+8), while quantity lasts! As the name implies, Iron Man Mark 44 "Hulkbuster" is designed to fight against the Hulk. To be able to counter Hulk's damaging power, Hulkbuster is designed to be a huge armor, with both weight and strength! There are 16 lights among its eyes, chest, hands, feet and other body parts. Its helmet and chest can be opened to see the internal structure. 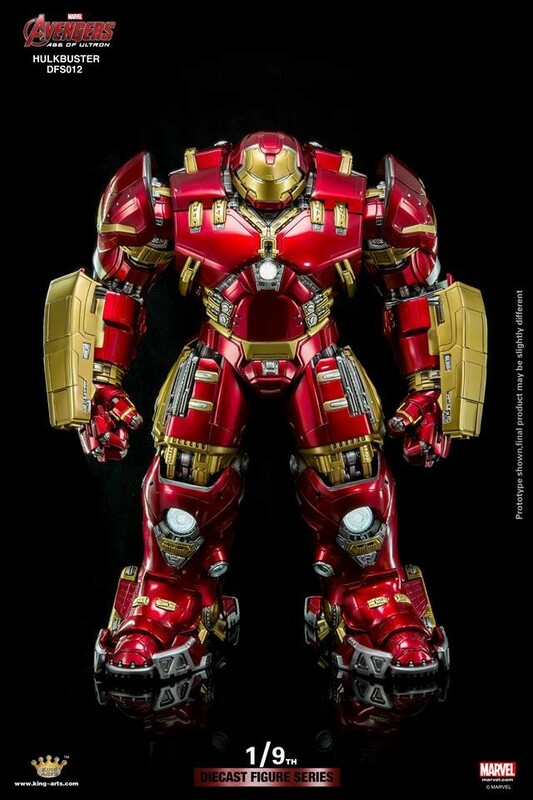 More importantly the Mark 43 DFS009 can be placed into the Hulkbuster as in the movie. So don't forget to get both figures! 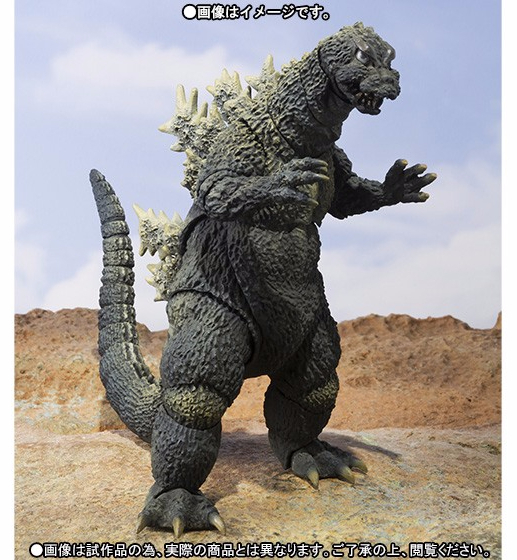 Bandai presents you the special color version of "Godzilla (1964)" . The figure has the weathering appearance of Godzilla when it first appears and ascends from the sand in the movie "Mothra vs. Godzilla". The distinctive white radiation ray effect and base is also included. S.I.C Kikaider in the Tamashii S.I.C series, it is redesigned by the famous designer and scupltor Kenji Ando. Standing at 17cm, the figure can be equipped with the electromagnetic effect parts and there are 4 pairs of interchangeable hands for you to pose the figure. Let's get this special version of Kikaider in hand! 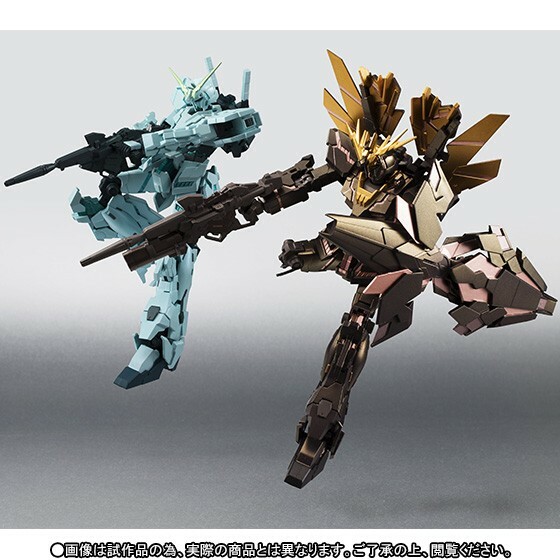 To fight against Neo Zeon, Unicorn Gundam and Banshee Norn work together to protect the world as featured in the climax of "Over the Rainbow", the final episode of the series anime. The set includes several parts for both the figures, including hands, weapons and base. In his Luna Mode, Ultraman Cosmos is ready to purify the monsters. 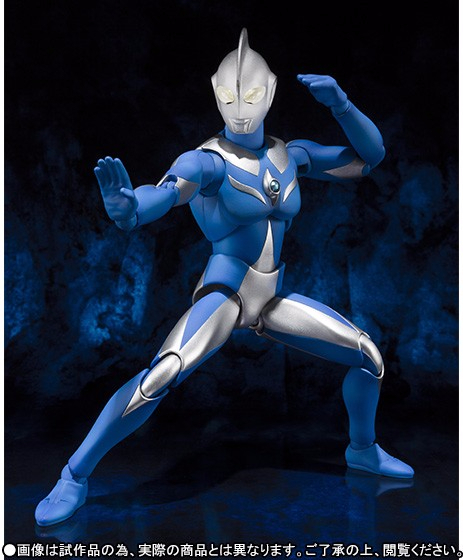 He is one of the rare Ultraman in blue, With special effect parts, you can pose him in his techniques of Full Moon Rect and Luna Extract. 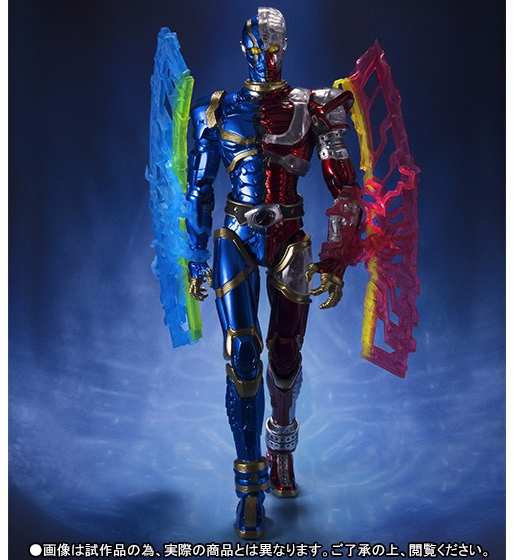 Don't forget to also get Ultra Sevenand Ultraman Mebius from the Ultra-Act series. 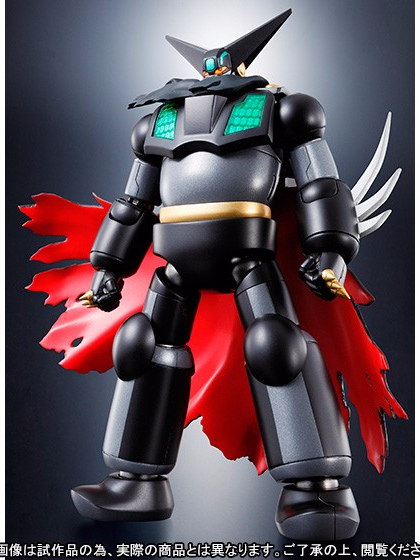 Here comes the Black Getter from Getter Robo Armageddon in Super Robot Chogokin series! Stands approximately 14cm tall, the set includes the main body, 4 sets of interchangeable wrists, 2 Getter machine guns, Getter beam expansion parts. To pose the Getter perfectly, you will also need the Tamashii Stage Act Trident Display Stand. Marusan proudly presents Gordian from Gordian Warrior. The figure is made of ABS,PVC and Diecast, painted in metallic colour. 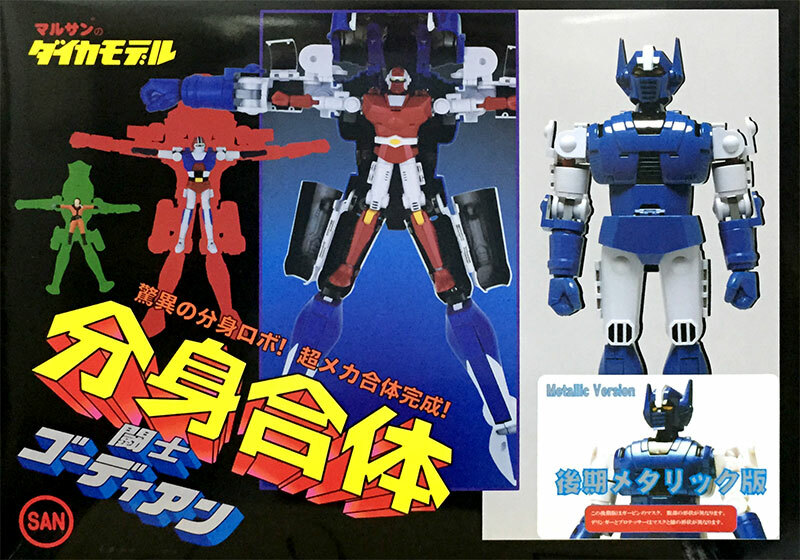 This is a re-make of the well known CMS Brave Gokin Gordian. Don't hesitate to get this rare item! From "Gundam THE ORIGIN," the comic that has sold over 10 million copies, Bandai's FIX Figuration Metal Composite series presents the high-tech, high-spec rendition of RX-78-02 Gundam. 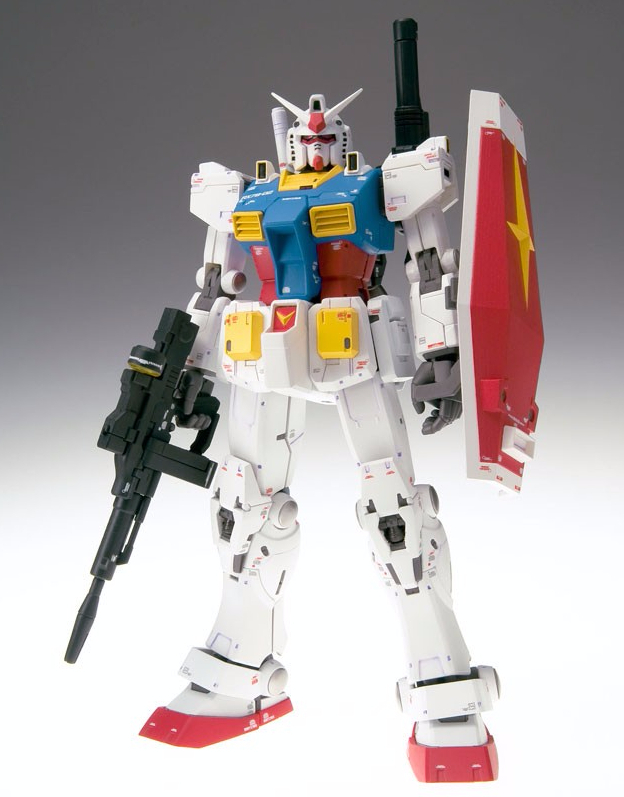 The FIX figure includes numerous option parts for re-creating the multiple versions of RX-78-02 over the course of the One Year War. 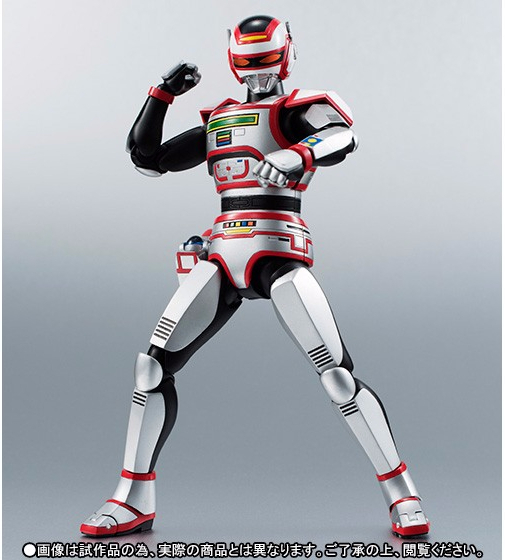 From Kyojuu Tokusou Juspion, Bandai's S.H.Figuarts series proudly presents the main hero Juspion. The figure comes with beam scanner gun, a plasma laser sword. Also included: replacement head part for with light emission effect for the eyes. "Crying won't solve anything, Sailor Moon!" 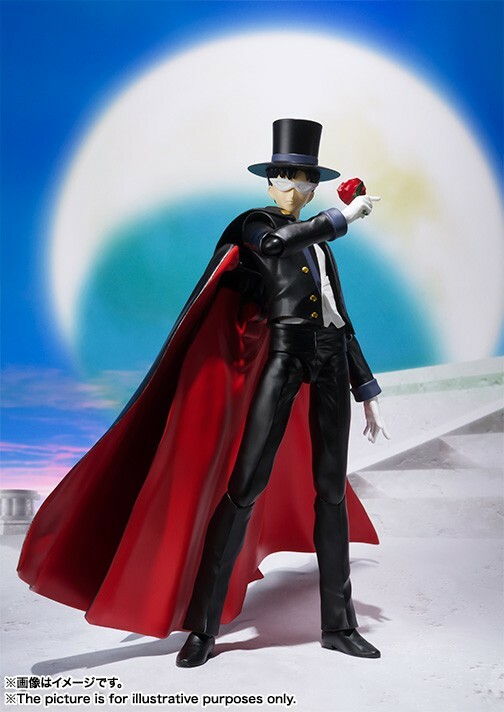 The mysterious Tuxedo Mask joins the S.H.Figuarts "Sailor Moon" series! Tuxedo Mask’s cape is fully detachable, along with other accessory parts, you can put him in his classic poses. You may also remove his top hat and mask to reveal his true identiy, Mamoru Chiba. Of course you cannot forget to buy his lovely girlfriend Sailor Moon!